Cherish those times while you still can. Nothing is better than being with your family. Wonderful post and lovely reminder to us all. I always love to read your posts and this one spoke to my heart - truly and deeply. Cherish and Enjoy your family. I sooooo understand!!! I'm doing just that also....posting a little less, enjoying family a little more. I'm so glad you are enjoying your family. Blogging can take over if we let it, can't it? I need to work on that too. Have a great time with your family....yes, they do come first!!!! What an awesome memory that your daughter now gets to have as well! 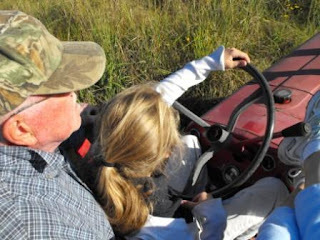 It reminds me of that Alan Jackson song where his dad taught him to drive, and now he's teaching his daughters to drive. Enjoy your dad and the rest of your family! 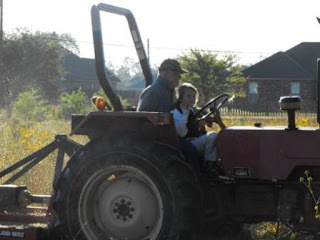 I have memories of riding with my dad on a tractor as well & they are special. Family is what it is all about! Cherish, cherish these times and memories. My dad has been gone 3 years this year and I miss him so much!!!! Family will ALWAYS be your family. Take care of them, love on them and express your love for them. Gerat pictures! Enjoy your family time. Glad you did that "inner retrospect" it's always a good thing and a GOD thing. Computers can WAIT....believe me....family can't. They grow old, they grow up...they move away. Our "people" aren't with us forever....so spend time with them now. Believe me....I live 1300 miles away from mine and MISS them dearly and our son lives further than that. Sigh. Besides in 25 years or less no one will care what we wrote on our blogs! 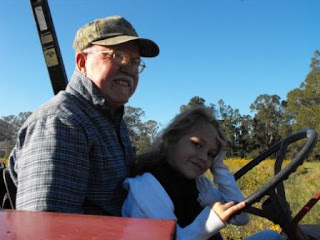 I have great memories of riding with my grandpa on the tractor. Thankfully I was able to get pictures of him driving my boy's around last summer before he passed awasy. Hi Susie, enjoy your visit. I think I am going to cut back on posting too..just cuz. I spend so much time on the computer nothing else seems to get done. Great pictures and even greater story! We all need to get our priorities in order. Glad you gave us a little reminder. Enjoy your family. Enjoy every moment you have with your Dad. I treasure every minute I had with my Dad before he passed away. I feel blessed that we had those times together. Yes that is right! Your priorities are in order! We will miss your daily posts but that means will just treasure even more when we do get to read your posts. We should all learn a lesson from this...less time on our computers & more with FAMILY! 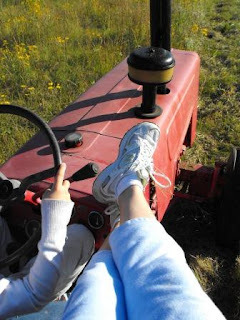 I love the tractor riding - how sweet (and fun!) Enjoy your family time and we'll be happy to see you when you can post! Susie, you are on the right track. Family is so important and cherish the time with your Dad! I don't blame you. My Dad went to heaven 11 years ago and I miss him terribly! 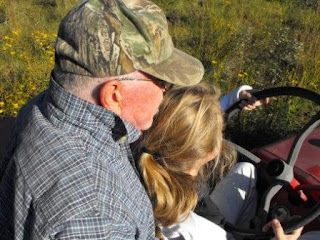 I love this picture of your little precious riding with her granddaddy. I'll miss you, but I support you 100%! As much fun as blogland is, it can never replace the fun and enjoyment that we need to be having with our family and friends. I respect and admire your decision. Enjoy your family! I'll keep checking in on you now and then. I wish you many happy memories with your loved ones, my friend! She will cherish those memories as much as you do! Enjoy your time with your family! I've been blogging less lately as well. I've gotten so many things done including spending time with family. I think it's great that you're spending time with your dad. Take as much time as you need. You can't let blogging take over. Good for you,....that melted my heart! Hi Susie, Thank you soooo much for sharing your time visiting me. WA, as you know is my neck of the woods. 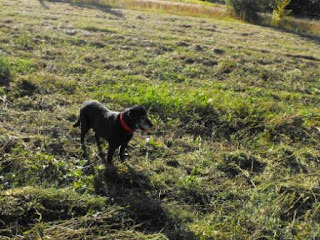 We're enjoying the beauty of fall, as I'm sure you are as well.Have fun creating memories with your Pop. This time is precious and irreplaceable. ENJOY! Oh, girl I COMPLETELY understand!! I got too wrapped up into reading and responding to too many blogs for awhile. I am back to my normal self... taking care of the real important things and I feel better already. I think my chronic back pain was too much time in the computer chair! :o/ Make great memories!! 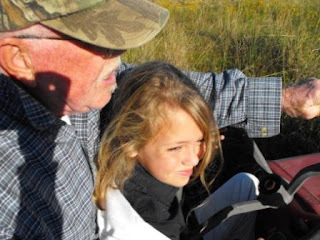 Hey Susie, when I was little my dad took me fishing, mom took pictures...when my daughter was little he took her fishing. I loved those days. Anyhow I have a picture of me at 2 with him and his fishing pole, and I found one of her at 3, same thing. I framed them and put them together. 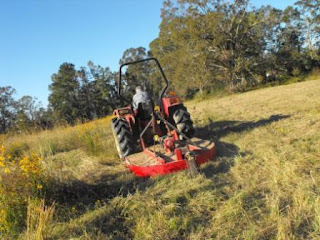 You ought to see if you have a picture of you on his lap..and tractor! Wouldn't that be so sweet. I love family time, very precious. I hear ya. I find myself having to do that. They are gone or grown in the blink of an eye. Good for you! Enjoy those you love. I know how you feel...family definitely comes first. I am always trying to find the perfect balance with everything I do! Family should always come first! Enjoy your family! What a wonderful time for you. Enjoy! We'll be here when you get back. Hi! Trees N Trends is basically like a HObby Lobby but just home decor. :) They don't have real trees. What an adorable picture of your Dad and daughter! My parents were very close to my children as well and I know they treasure the memories. You have been boo-ed. Copy the boo photo and put it on your sidebar so everyone will know you already have been boo-ed. Then, find some friends to boo. How much fun! Those pictures remind me of my childhood memories with my grandad. Much needed family time - these momoments will live on. There is NO better place to be!!! AND, what a darling daughter you have!!!! Just wanted to stop by and wish you and Maddy and the rest of your family a Happy fun-filled Halloween!! This is my first time visiting your blog. I think all bloggers can relate ~ we need down time from the computer to spend with family and friends. What a lovely family you have and beautiful land too! This is just awesome. You are so lucky!! Thanks for sharing your family time with us. I'm so glad you'll get some time with your dad - no surgeries planned!